Whether your vehicle is new or old, vehicle surface protection is a key part in keeping your vehicles paint protected from the elements of every day driving to winning the local car shows. Adding protection to the paintwork will help retain your vehicles value and will help with maintaining that perfect finish. A virtually invisible urethane film. It protects your vehicles paint from unsightly damage and maximizes re-sale value. Some of its features include Self Healing, Stain Resistance and Superior Optical Clarity. This product carries a 10 year warranty against, yellowing, cracking, peeling, staining, and hazing, covering both film and labor. 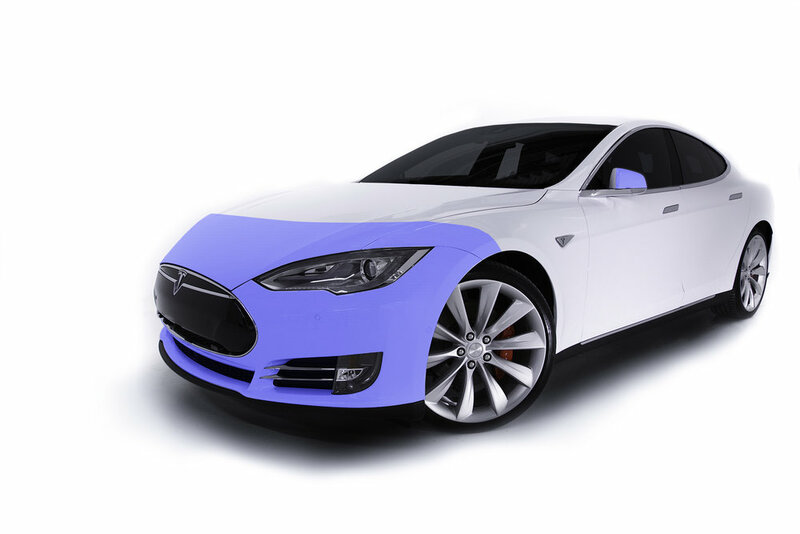 XPEL ULTIMATE is truly the most revolutionary Paint Protection Film ever invented! Our entry level install protecting the leading edge of your vehicles nose from stones and road debris. Like our Partial Install, we add the full hood for further coverage while eliminating the partial line on the hood. This is our most popular install protecting the highest impact area of your vehicle, all while “eliminating the seam” were the film ends like the partial install giving maximum coverage and pleasing aesthetics. For those looking for the best vehicle surface protection possible! Covering all the body of your vehicle will give you peace of mind while out and about, whether that’s a daily commute to and from the city, or showing off your prized possession at the local car show. Customized install of both bulk and software cut film for a for the best fit and finish. Covering all painted panels, trim(painted), headlamps and fog lights.